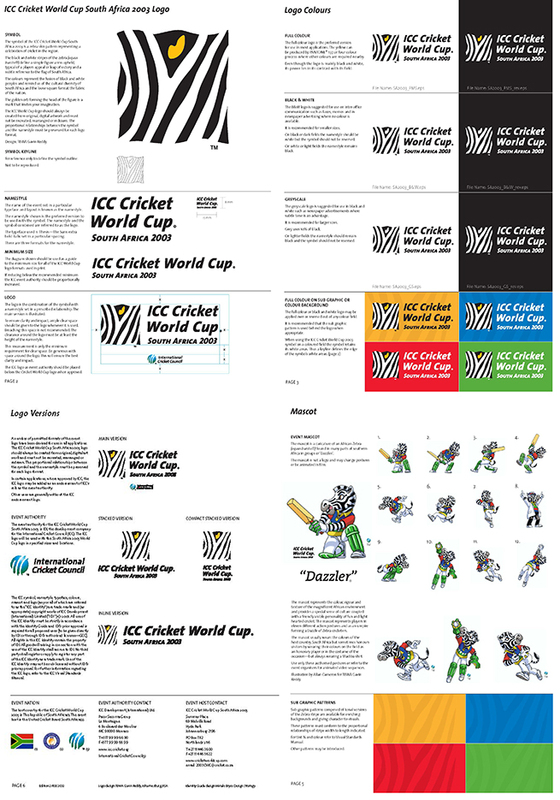 Branding for the ICC and its international cricket competitions reflects the growing popularity of the sport across audiences worldwide. 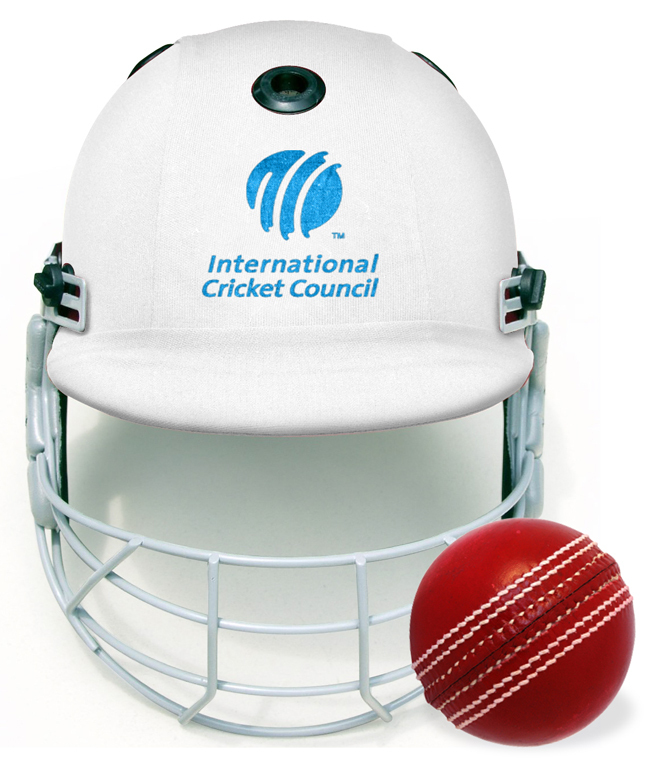 The International Cricket Council (ICC) was set up to represent and promote cricket worldwide. 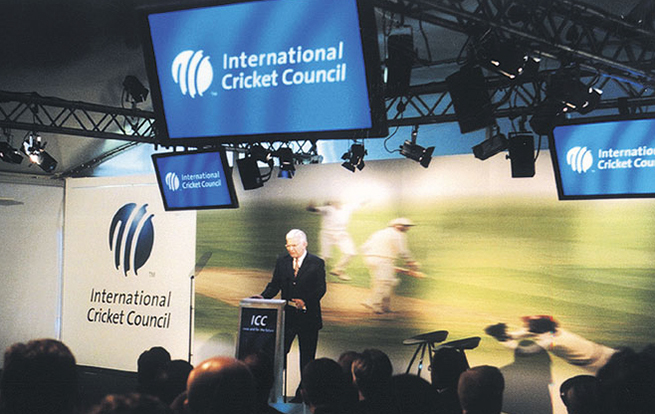 As opportunities for watching the game increased through the diversity of available platforms and a widening circle of fans, it became necessary for the ICC to manage cricket not merely as a constellation of game-events, but as a branded sport. 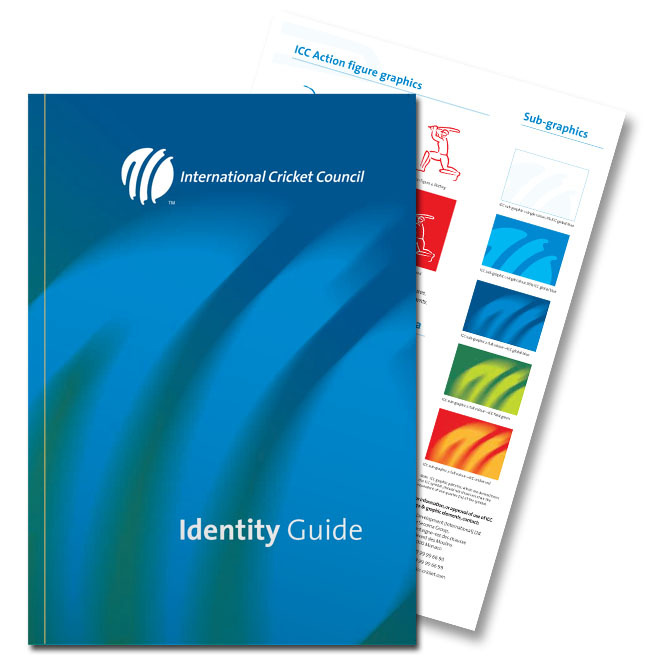 The ICC approached us to develop a new identity which would work effectively as part of a comprehensive design programme to maximise the reach and influence of the game. As far as spectators are concerned, it’s the players who matter. However, behind the scenes in international cricket there are many other important stakeholders – managers, commercial partners, sponsors and the sporting press, as well as political organisations. Each of them contributes to the promotion of the game but all have a different perspective. 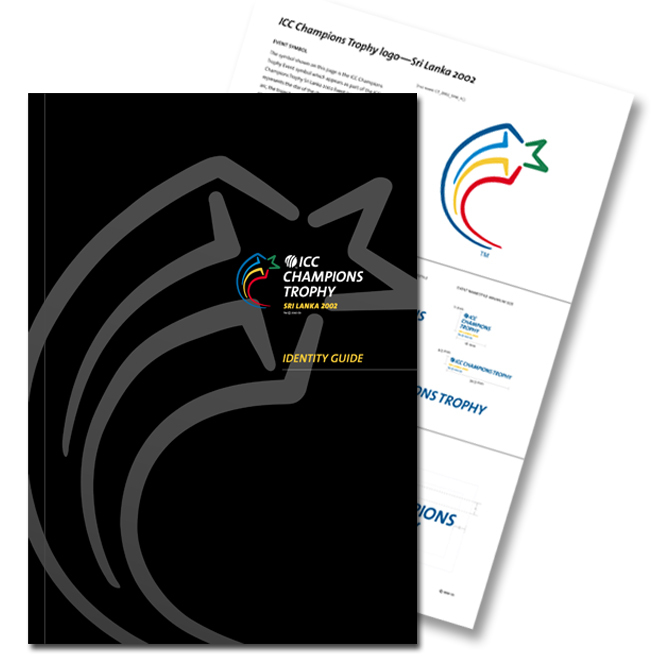 From workshops we conducted we developed a list of core values which most accurately defined the game and set the direction for creating a world class sporting brand. Using the three wicket stumps as the basis of the design, we aimed to capture the essence of cricket as an exciting sport. The resulting design is highly visible and flexible enough to be applied to a wide variety of items from sportswear to promotional literature and advertising. 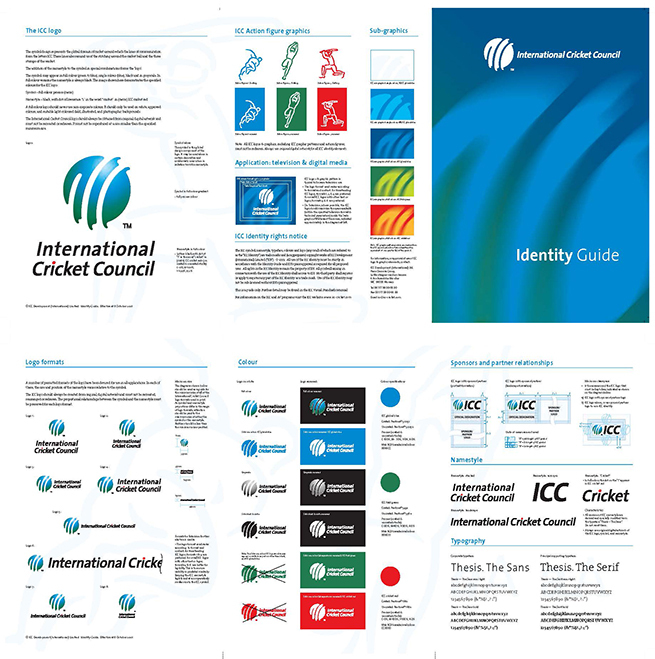 We also produced comprehensive design guidelines showing how the ICC brand identity should work as an endorsement for the organisation’s high profile cricket competitions. 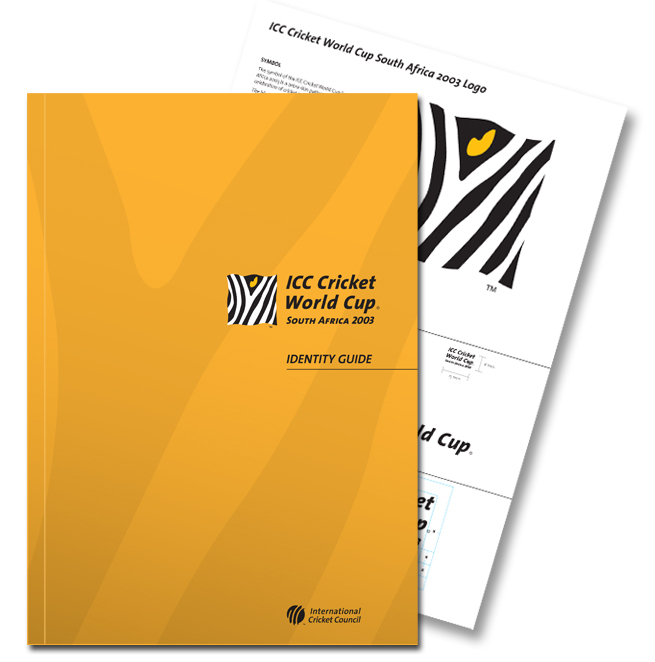 In its bid to modernise and broaden the appeal of the game, the ICC has continued to call on us to devise a series of visual identities for its events, including the ICC World Cup, ICC Champions trophy, ICC World Twenty 20 and more recently the ICC Women’s Cricket World Cup in Australia.